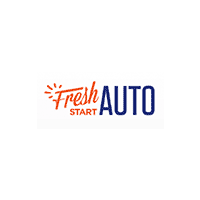 Visit Fresh Start Auto for the best used cars and trucks in the Detroit metro area. Our dealership carries a comprehensive array of top makes and models, and our expert sales staff will help you fit one to your lifestyle. We take a lot of pride in our team’s ability to provide excellent customer service, a friendly environment, reasonable financing options, and, of course, great pre-owned cars! At Fresh Start Auto we’re sure that we have the used vehicle that you have been searching for–and if we don’t have what you’re looking for, we’d love to help you find it! With a variety of pre-owned cars, trucks and SUVs to choose from and, with our experienced sales team, we are confident that we can find the vehicle that is right for you. Each vehicle at our dealership has been through a detailed inspection to insure we only stock pre-owned cars of the highest quality, so whatever we help you find will be a top-notch vehicle. We invite you to visit our Southfield, MI area pre-owned vehicle showroom. We are located at 21399 Telegraph Road, Southfield, MI 48033. If you have any questions, give us a call at (248) 352-7199. We look forward to speaking with you.